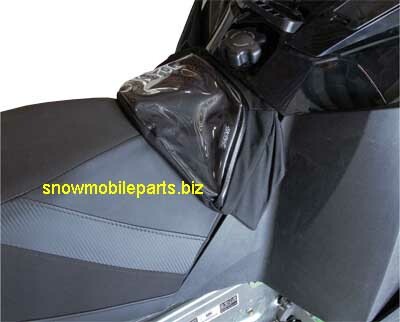 Skinz Snowmobile Tunnel Pack comes with Reflective Stripe. Shock cord tighteners. Removable for overnight trips. Zipper opening. Carry handle. Urethane coated material. Water resistant. Padded sides. 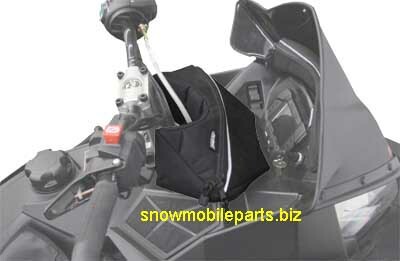 Snowmobile dash pack easy installation. Designed to store smaller items. Quick and easy access. 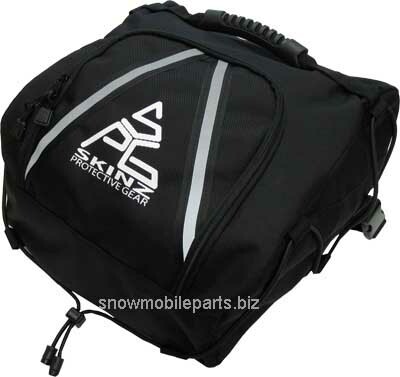 This snowmobile tank bag has multiple compartments. Map pocket window. Easy installation. Removable. Heavy Duty nylon.